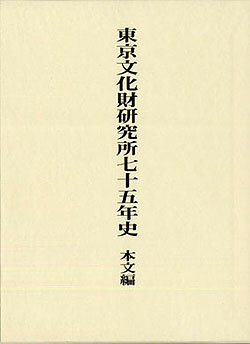 Editing is complete in 2006 for the issuing of a 75 years’ history of National Research Institute for Cultural Properties Tokyo, commemorating the 75th anniversary of the establishment of the Institute in 1931. We issued the “text edition” which records the development of the Institute, the investigation, research and current status of the Departments and Centers, along with relevant materials for each (B5 size, 607 pages, issued on December 25, 2009). In March 2008, we issued the “data edition” which includes lists of the records of operations since the foundation and the accumulated data. These data and text editions represent the 75-year history of our Institute. The editors in the Departments and Centers played central roles in editing. In addition, we are very grateful for the cooperation received from many organizations and people from inside and outside the Institute. We hope that this document is used to not only look back on the 75 year history of the Institute, but also to share pride in this history, and have an opportunity to open a new vision as one of our future Institute’s activity. 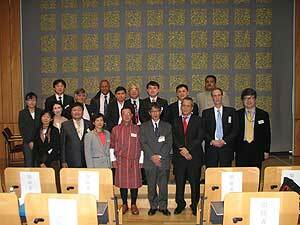 Part of the document will be made commercially available by the Chuokoron Art Publishing Corporation. In 2010 we will issue Number 400 of the in-house journal of the Institute’s Department of Research Programming “Art Studies (The Bijutsu Kenkyu)”. 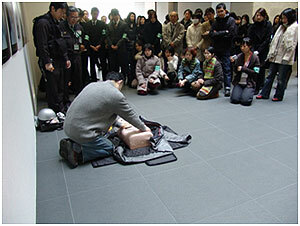 The Korean Art Research Institute of Hoshioka Cultural Foundation will issue Number 30 of the “Art History Forum”. Stemming from his assistance last year as an overseas member for the editorial board of the Bijutsu Kenkyu Mr. 洪善杓, Director of the Korean Art Research Institute and professor at the Ewha Womans University, an agreement was made to jointly hold a symposium, commemorating both journals. On January 28, we welcomed five guests – Professor洪善杓, Mr. 鄭干澤 (Professor at Dongguk University), Ms. 文貞姫 (Scholarship Director at the Korean Art Research Institute), Mr. 張辰城 (Associate Professor at Seoul National University) and Mr. 徐潤慶 (full-time researcher at Korean Art Research Institute) – and held a conference with the researchers at our Department of Research Programming in preparation for the symposium. 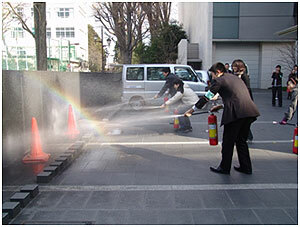 As a result of the conference, we decided to hold the symposium with a theme of “Evaluation” in Tokyo (at our Institute) at the end of February 2011 and in Seoul (at Ewha Womans University) in the beginning of March 2011. 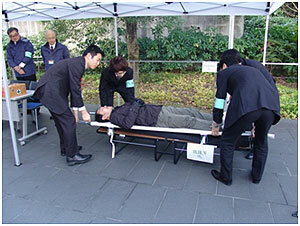 We will have an keynote report (In Tokyo by Professor Mr. 洪善杓, and in Seoul by Mr. Tanaka of our Department of Research Programming) at the start of the symposium, followed by the presentation of research papers by two researchers from our Department and two researchers on the Korean side, after which comprehensive discussions will be held. Although the presentations will be given under the same theme, it is expected to have differences in the awareness of issues and thinking between the researchers of both countries, and we hope that understanding of these differences will deepen future mutual understanding and simultaneously further cooperative relationship between both journals. 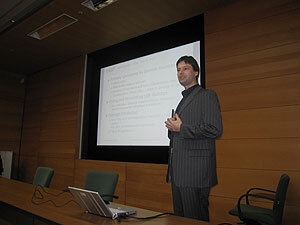 In January 2010, our Institute established a mobile website. 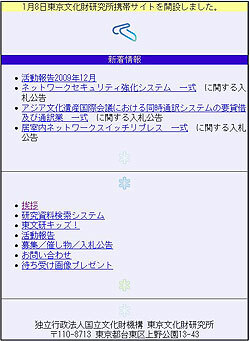 The website currently consists of “Newly arrived information”, “Greetings”, “Recruiting/Events/Tender Notices”, “Monthly Reports”, “Columns/Old Stories”, ”Research data search system”, “Tobunken Kids”, “Update History”, “Inquiries”, and a “Mobile Phone Standby Display”. We will quickly and continuously transmit user-friendly information and provide interesting text such as columns. We would be very pleased if you visit our website on your way to work or school, or during breaks in study or research. On January 14, the Department of Intangible Cultural Heritage held an international workshop on the protection of intangible cultural heritage at the seminar room of the Institute under the framework of the UNESCO Convention for the Safeguarding of the Intangible Cultural Heritage. Administrators and conservation specialists from nine countries in the Asia-Pacific region (Indonesia, South Korea, China, Fiji, Philippines, Bhutan, Vietnam, Mongolia and India) participated in this workshop. Members of the Ainu Old-Style Dance Performance Alliance Conservation Association along with Mr. Miyata from the Department of Intangible Cultural Heritage joined the workshop, and gave a presentation on the current status of and issues relating to the protection of intangible cultural heritage. At the comprehensive discussions we discussed the role of the community in the protection of intangible cultural heritage. On January 15, we visited Miura City, Kanagawa, which was registered as a UNESCO Intangible Cultural Heritage site last year. 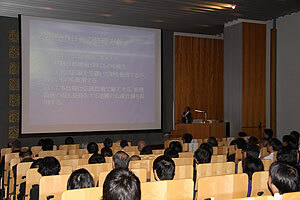 The Traditional Arts Section of the Center for Conservation Science and Restoration Techniques held a seminar with the theme of “Architectural Cultural Heritage: Examination and Repair of Urushi Coating – Current State and Issues” at the seminar room of the Institute on Thursday 21st January. Currently, more than 80% of Japanese lacquer Urushi such as Johoji-urushi is used to repair the coating of architectural cultural heritage objects like the Nikko Toshogu. There is a long history and tradition in Japan for using Urushi as a coating material for architectural cultural heritage items from the past. However, Urushi has disadvantages such that it is susceptible to ultraviolet rays, wind and rain, and there are many problems in the current status and issues of repairing such heritage objects using Urushi. Tackling these problems at the seminar, Mr. Honda Takayuki of Meiji University gave us an easily understandable explanation about the deterioration mechanisms of Urushi from the standpoint of analytical chemistry. Following this, Mr. Kitano of the Traditional Arts Section showed actual examples of the Urushi coating materials used for architectural cultural heritage items in Japanese history, explained from the standpoint of coating technological history. Against this backdrop, Mr. Sato Noritake of the Nikko Cultural Assets Association for the Preservation of Shrines and Temples talked in detail about the state of various traditional coating repairs currently being executed at Nikko Toshogu from his position as an engineer who is currently repairing the coating. Finally, Mr. Nishi Kazuhiko, the Counselor in charge of buildings for the Cultural Properties Department of the Agency for Cultural Affairs, presented a lecture on the Agency’s engagement in the repair of all coatings, including Urushi, and his thoughts from the viewpoint of one who is making administrative advices. 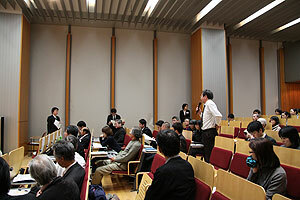 Since the lecturers were discussed about the subject of Urushi coating of architectural cultural heritage items based on the practices of science, history, restoration techniques, and administration, their stories were convincing. 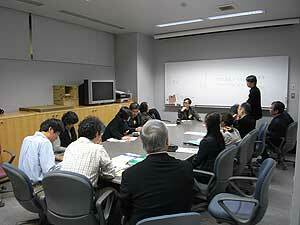 Various questions were asked from the hall, and resulted in a successful meeting. As part of joint research on site monitoring, we executed a field survey on cave mural paintings in southern Sulawesi with the Borobudur Heritage Conservation Office in Indonesia from January 24 to 30. 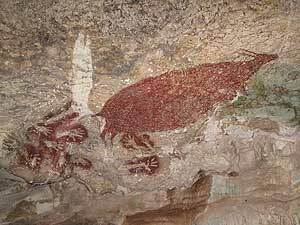 There are over 100 limestone caves in southern Sulawesi, and several of the caves have mural paintings which were presumably drawn 3,000 to 1,000 years ago. Many of the murals were created by blowing red colorant over the human hand as it was pressed to the wall, with motifs of regional unique animals such as babyrousa (a species of wild boar),anoa (a species of cattle), fish, birds, and boats appearing. On the murals, phenomena such as changes in rock composition through water leaching, surface recrystallization and the detachment of rocky surfaces were visible, and it is conceivable that changes in the environment, such as the cutting down of peripheral trees, caused the murals to deteriorate. We visited eight caves at the local site, and discussed the causes of deterioration and measures for future conservation with the conservation specialists in Indonesia. We plan to investigate monitoring techniques in order to establish appropriate conservation plans jointly with the Borobudur Heritage Conservation Office and the local Makassar Cultural Heritage Conservation Center. China and five Central Asiatic countries (Kazakhstan, Uzbekistan, Turkmenistan, Kyrgyzstan and Tajikistan) are now proceeding with preparations aimed at the collective registration (cross border serial nomination) of cultural heritage objects along the Silk Road in a World Heritage Site as “Silk Road” . 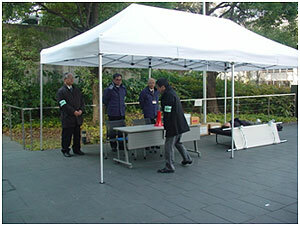 This project supports the application for this registration. Based upon this, the five central Asian countries aim to establish a base for the documentation of cultural assets in each country through the cultivation of talent, exchange of technology, creation of an archive material management system and cooperation towards creating an organization. Before starting this project, we held discussions with the relevant people of the five countries in Central Asia to determine courses of action and other specific information. Per UNESCO’s request, the Japan Center for International Cooperation in Conservation participated in the preparation mission by touring these Central Asiatic countries (excluding Turkmenistan) from January 8 to 19. Through this mission, we were made keenly aware of the necessity of support and cooperative activities that suit actual conditions in each country when executing the project. It is because despite all being in Central Asia, there are great differences in the funding, human resources and technical abilities between these countries. 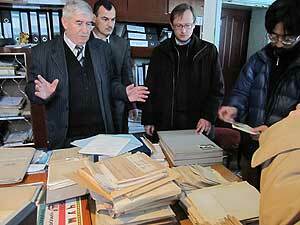 It was confirmed that many photos, drawings and reports produced by the investigation of cultural heritage conducted in the age of the Soviet Union were stored in each country. It is hoped that these precious records and materials will be taken advantage of as a shared Central Asian resource through digitization and the compilation of databases. The Japan Center for International Cooperation in Conservation will participate in this project by investigating remains using the latest equipment, compiling records and materials in database, and supporting and cooperating in the holding of workshops and symposiums. Through this we hope to promote talent and facilitate the exchange of technology with regards to the cultural heritage of Central Asia.